View More In Microwave Ovens - Page 8. 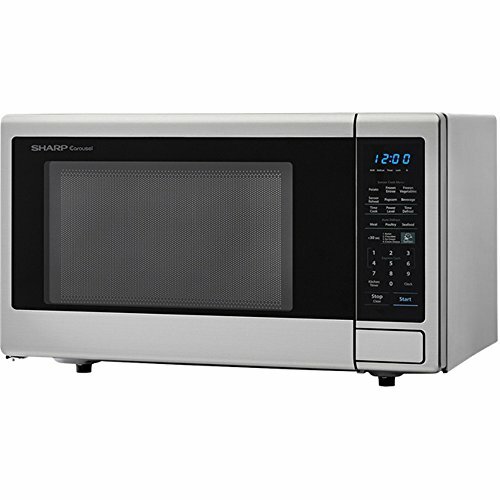 Sharp, 1.8 cu ft, stainless steel, 1100W, full size countertop Microwave, 15" turntable system, 5 sensor programs, 3 auto defrost options, 11 power levels, 4 soften options, easy to read LED digital display, premium scratch resistant glass front, outside dimensions: 23.2"W x 13.3"H x 18.9"D.
Dimensions (wxhxd) :17.8" x 10.9" x 15.7"
If you have any questions about this product by ALMO DISTRIBUTING WISCONSIN, contact us by completing and submitting the form below. If you are looking for a specif part number, please include it with your message.